Help families become strong and healthy. More than 1,000 families every year access Iosis services and programmes. They come seeking help with parenting, relationships, family violence, addictions, and practical needs. Eta was mum to five lively boys. Attending to their needs left her little time to complete household tasks, let alone plan ahead. The family was struggling financially, and Eta was under great stress. Letechia’s two older children were uplifted following a drug overdose. She stayed clean for five months and almost had her children back home with her, but she relapsed. Pregnant again, she knew that unless she got help with her addiction and parenting, she would not be able to keep her new baby or have her other children return. Joanne’s toddler and baby were removed from her care because her deep-seated hurt and anger caused her to lash out. Grieving for the loss of her children, and feeling adrift and alone, she needed help to change if her children were to return home. Regular donations help you spread your gifts over the year and help us plan ahead knowing that our work with families has a strong future. Just $10 a month ($120 a year) will fund two counselling sessions. Let's help more families become strong and healthy. $10 will provide Parent Support resources to help a family with establishing routines and household management. 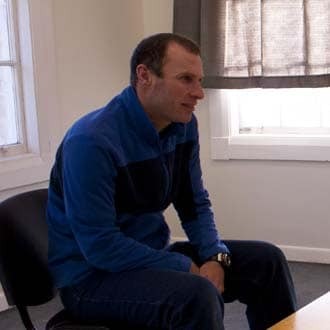 $30 will help a dad like Stuart get one-on-one assistance in a session with a MenD facilitator. $50 will help a mum like Letechia learn the skills she needs to parent safely. $100 will give parents like Joanne support to improve their parenting skills. Please use where needed most. I would like to designate my donation to a specific Iosis service or programme. Read how Stuart sought help to change. A mum who rose above her past to become a safe parent. Letechia had just come out of drug rehab and was looking forward to the birth of her third child. However, Child, Youth and Family referred her to Iosis’s Merivale Whanau Development Centre for help with her parenting skills. There Letechia learnt the importance of bonding with her baby through talking to her and playing with her. She graduated from Merivale confident in her ability to build strong relationships with all her children, including her older two who will be returned to her care.